The time machine of writing: Then, Now, Forever cover reveal! Then, Now, Forever cover reveal! Here it is! 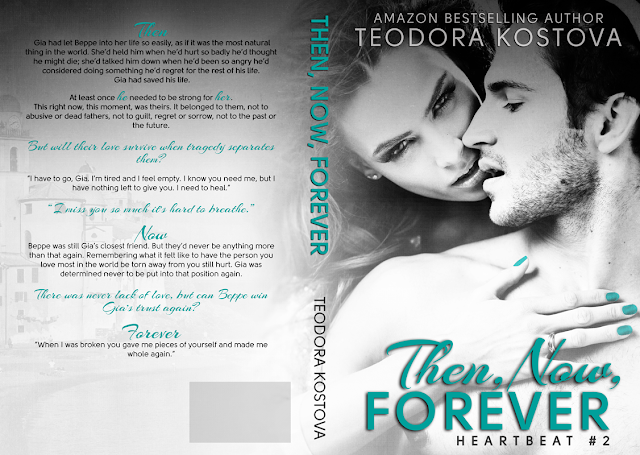 The gorgeous cover of Then, Now, Forever - the second book in my Heartbeat series! It's designed by the very talented Ari at Cover It Designs. The book will be out in September, exact date to be announced soon. It's the story of Beppe and Gia who first appear in the first book in the series - In a Heartbeat. Both books can be read as stand alone novels. One more month to go for the release. Yeiiii.! !